I feel like writing, so here I am. I’m tired from the activities of the week, but we had a great Thanksgiving, and we enjoyed having three of our grandkids stay overnight on Thursday. One thing I know is that my days of being a full-time mommy are long past. I didn’t realize how hard I worked back then because I was young and strong and full of vinegar. Not any more! Anyway, at first I thought I might say a few pointed words about the shopping frenzy. Then I looked at a video of a fight over electronics at the Walmart in Somewhere, USA. It made me sick and ashamed, and I don’t feel like giving it any more space than I just did. I’m pleased to report that no one from this household did ANY shopping on Thursday or Friday! So I’m going to use some thoughts I had this week as I was preparing for the meal on Thursday. I hope what I’m sharing here will trigger your own memories, and that you’ll feel free to share them with me. When I was two, my family moved from western Colorado to southern Minnesota. Quite a change–from the Rockies to the prairies. I, of course, don’t remember the move itself. My memories start to come in when I was three, I think, and most of them are vague. My dad hadn’t yet surrendered his life to the Lord at that point, and he was a weekend beer drunk, fresh out of the Navy and World War II. He was not pleased that my mom had become a Christian while he was off to war, and he made that painfully clear. One memory I have is of my mom getting my sister and me off to bed early, probably on a Friday or Saturday night, so that we’d be out of the way when Dad came home. I remember that she fixed us hard-boiled eggs with butter and salt and pepper, a favorite of mine to this day. I also remember nightmares I had when we lived in the trailer there in Fairmont, Minnesota. I could hear footsteps every night as I was falling asleep, and it terrified me. I just knew that a bad witch was coming for me. Finally, my mom and dad figured out that I was hearing my own heartbeat as I lay on my side with my hand tucked under my ear. It’s funny now, but it wasn’t funny then! In time, some people from the First Baptist Church in Fairmont came knocking at our door, inviting us to Sunday school and church. At first, Mom just sent Sandy and me. She herself dearly wanted to go, but she was afraid of Dad’s reaction. Eventually, though, she became brave enough to start going herself. Then Pastor Peterson began to visit, talking with my dad and urging him to come to church. Dad had accepted the Lord as his Savior when he was 14; however, apparently there was no one who discipled him, and when he went off to war, he became bitter against God and wanted nothing to do with religion. Pastor Peterson, who became a lifelong friend, persisted. He was a brave man, I think. Dad did agree to come to church, and I have vague memories of his being there. It was a cold Minnesota winter, and I remember his grey topcoat. I liked the smell of it when he would pick me up to carry me across the icy parking lot. Still, Dad resisted God’s call on his life until one night, probably after midnight, he knew what he had to do. He drove to Pastor Peterson’s, banging on the door because he knew they’d be asleep. At first, Pastor thought he was drunk and angry; then he realized what was happening. That night, my dad surrendered his life to preach, and our journey through his schooling and his being a pastor had begun. Meanwhile, there was a family in the church that adopted our family. The Looft family was so wonderful to us! They were a farm family, salt of the earth people who welcomed us as if we were truly blood relations. I don’t remember how old I was when I first realized they weren’t really related to us, but it didn’t matter. Grandma and Grandpa Looft, their three daughters and their son, and all their grandchildren, became our best friends for many years. Several of the children were around our age. We loved being with them, and some of my best memories are of the holidays we spent on Johnnie and Jeannie’s farm near Fairmont. The farmhouse was huge, full of bedrooms, closets, and other delightful places for playing hide-and-seek. We had the run of the house, and we used it well. While the adults talked and laughed downstairs, we had a blast upstairs. When the weather permitted, we were outdoors playing in the snow during the cold months, or working up a game of baseball in the warm weather. There was always a lot of laughter. I felt so secure, safe, wanted and loved with all of them. Thanksgiving was a wonderful time. This was a family that Norman Rockwell would have painted if he’d known them! Walking into the kitchen from the cold outdoors was a treat all by itself. The aroma of turkey, ham, and other savory treats was overwhelming. There would be all the women, each doing some chore, laughing and talking as they worked. The men would be in the other room, the low rumble of their voices and the occasional shout of laughter drawing me like a magnet. At mealtime, you’d have thought you were at an all-you-can-eat buffet. Ham, turkey, so many side dishes you couldn’t sample them all; dinner rolls, relishes, pickles, olives, cranberries, sweet potatoes, stuffing—oh my, it was truly a feast. There was one table that held all the food, and another big table where the adults sat to eat. We kids would load up our plates and sit at card tables and trays wherever we could find room, and the feasting commenced with gusto and ended with bursting tummies. Then came dessert. So many kinds of pie I can’t even remember them all. Pumpkin, mincemeat, pecan, apple, cherry, lemon meringue, banana cream–the food table was full again just with dessert. Once we’d all had all we could stuff into our already full stomachs, the clearing up and putting away began. At that point, we kids were free to do whatever, especially anything that would get us out from underfoot. Such wonderful memories. To spend Thanksgiving with a Christian family that loved us was a gift we’d fully appreciate only as we grew older. They were part of our lives for years, and I still miss them. We’re all over the country now, and have lost touch for the most part, but they’re all still in my heart and always will be: Darlene, Margie, and Marilyn especially, because they were the ones we spent the most time with as we were growing up and they were the ones who lived on a farm in Iowa that my sister and I got to visit for two weeks in the summer while we still lived in Minnesota. Wonderful times, wonderful friends. And that, dear reader, is what Thanksgiving should be about. We didn’t have Black Friday back then. Those were the good old days. This will be my last post of the week, I think. Most of today will be taken up with food prep and final cleaning. Tomorrow I may not even boot up the computer 🙂 Three of our grands are staying overnight, so Friday will be busy. I’ll have to bug Terry about getting the tree up to decorate. Saturday I’ll probably crash, and then Sunday comes. We’ll see if I have a post in me by then. So. 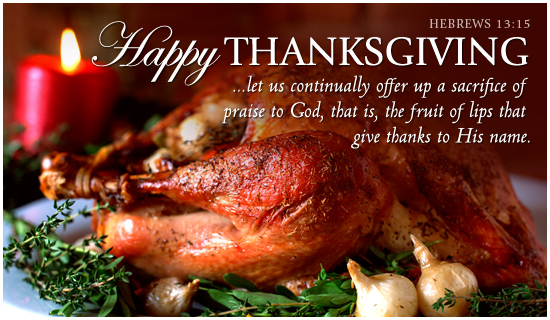 As we enjoy the food, family, friends and fellowship tomorrow, will we give a heartfelt time of praise to God? Or will we make a cursory attempt to mention Him briefly in the prayer before we eat? I’ve been thinking about this for several days. Sometimes the things we do become trite, like everyone having to say something they’re thankful for before we eat. Not saying that’s a bad idea, but so often the things we mention are material. What He has done for you THIS YEAR that has made a difference in your life. What is His character? What do you know about God that you particularly want to praise Him for? What new thing have you learned about God this year that has influenced how you see Him? Quote a Bible verse that specifically gives praise to God. See what I mean? Instead of being thankful for our parents, our friends, our church (which are all wonderful things!) I would like us to focus on the Author and Giver of Life this year. Let’s get personal with the Savior. Let’s offer Him a sacrifice of praise. Later in this chapter, Jesus explained His parables. You can read this explanation in verses 18-23. This first picture, of the seed that fell by the wayside and was eaten by birds, is just the beginning of an extremely important description of what can happen to the good seed. The wayside was hard ground, traveled and packed down by many feet. When the good seed fell on this hard ground, birds spotted it and devoured it quickly so that there was no possibility that it would take root and grow. The human heart can be hard like the wayside. It does not absorb the seed. It does not welcome the good seed that lands on that hard heart, and provides the seed no place to root and grow. 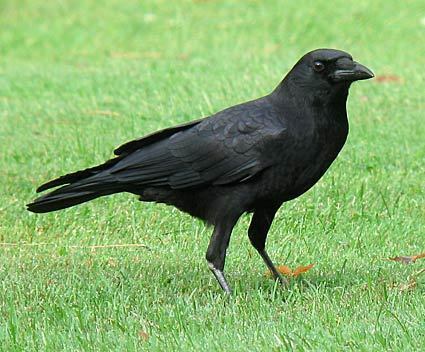 Birds, in the scripture, never represent anything good. Instead, they represent that which is evil, and in this parable they represent that wicked one himself, Satan, who is ever alert for seed falling by the wayside where he can devour and destroy it before it can find a place to produce fruit. This first parable is a picture of the church at Ephesus. If we compare the parables to the seven churches in Revelation 2 and 3, the parallels are clear. Ephesus represented the apostolic age, when churches were being planted as the seed was sown in the nations. It was also the beginning of failure, because the church at Ephesus lost its first love. The key to the right interpretations of these parables is in themselves as well as in the scriptures. The sower in the first two parables is the Son of Man. He sows wheat, which stands throughout the scriptures for purity, for Christ Himself. He is the Word; the good seed are the sons of the kingdom. The field is the world, and the enemy is the Devil. The sower went out to sow, distributing the seed to the nations. Even little words matter here; Jesus spoke of the sower, not a sower. In the second parable, Jesus stated that the sower is the Son of Man. We really don’t have to look too far for explanations. Jesus was pretty good at giving them! The seed He sows can only bring forth as it falls on good ground. In the ground, it dies; out of death comes the fruit. The parable is typical both of the time Jesus was here on Earth, as well as the time He is away. His going out to sow shows the beginning of something new. Israel had failed to yield fruit, so the sower went out, away, to better and more fertile ground. Isaiah 5:2-7 is a perfect description of what is happening in this parable. There will come a time when Israel, who is the vine and the fig tree, will again become fruitful; until then, the field is the world. Tomorrow, we’ll take a look at what happens to the seed. A parable is a simple, earthly story that has a deeper heavenly meaning. Jesus used parables that His listeners would recognize. This first one, the parable of the sower and the seed, used imagery that all Israelites knew. Jeus was The Master Teacher. He always taught a new concept by connecting it with things that were already familiar to the hearers. The Gospel of Matthew is the only one in which all seven of the mysteries are grouped together. Matthew, of course, is the great dispensational gospel, revealing God’s plan of the ages clearly. After the kingdom He offered was rejected, Jesus made known what would happen during the time of His absence. You will remember that the number seven always denotes completeness; these seven parables are clear pictures of the complete plan of God. First, what did Jesus mean when He said six times in these parables, “The kingdom of heaven is like”? What was the kingdom He was teaching? It couldn’t have been the Old Testament promise, because Israel had rejected Jesus as Messiah. Also, He was saying things that had been hidden since the world’s foundation, so this kingdom could not have been that which had been promised and clearly described in the Old Testament. Some teach that this new kingdom is the Church. No. The symbols and teachings in these parables are not consistent with what is later introduced as the Church, and to try to make the parables and the Church fit together is like trying to force pieces of a puzzle together when the size or the angles, corners, and links do not match. Nowhere in scripture is the Church called the Kingdom of the Heavens. It makes much more sense that Jesus referred to the sending of the gospel to the Gentile nations. The mercy and grace that was offered to, and rejected by, Israel would now be offered to the nations, while the King Himself would be absent. In this parable, the sower went out; that is, He went forth into the field, which is the world. In simple terms, the kingdom of the heavens in Matthew is equivalent with Christendom. It includes the whole sphere of Christian profession both saved and unsaved, for not all who name themselves Christian are true believers. So, while the Church is not the kingdom of heaven, the Church is in the kingdom of heaven. What we will see in these parables is how matters will go in the earth while He is not here, and what humankind will do with the the gospel that is now to be sowed among the nations. Before we look specifically at each parable, we need to see that the seven parables are divided into four and three. The first four are taught to the multitudes. Then, Jesus went into house and taught the final three parables to the disciples. These last three have a deeper spiritual meaning than the first four. There is much more to be said on this topic, but I really wanted to get into the first parable today. However, this is already long enough, so I believe I will postpone that study until next time. Home Again . . . . Thank you all so much for your prayers and concern. My daughter was released from the hospital around 1:30 this afternoon, and is now resting quietly at home. She’s pretty worn out, and very glad to be back home. Not how any of us planned to spend our Thursday through Saturday, but I’m so glad this all took place before Thanksgiving. Again, many thanks for your interest, concern, and most of all for your prayers. It all means more than I can even begin to express. I won’t be doing my usual post tomorrow. My daughter suffered a really bad gall bladder attack today, and I spent my day with her. I’ll be going back tomorrow to stay with the kids so Aaron can be with her until the surgery, which will be sometime in the afternoon. We’re all thankful it’s something that can be easily dealt with. Maybe I’ll do my Friday post sometime Saturday or Sunday 🙂 In the meantime, I’d appreciate your prayers for my daughter, and for the doctor who does the surgery tomorrow.